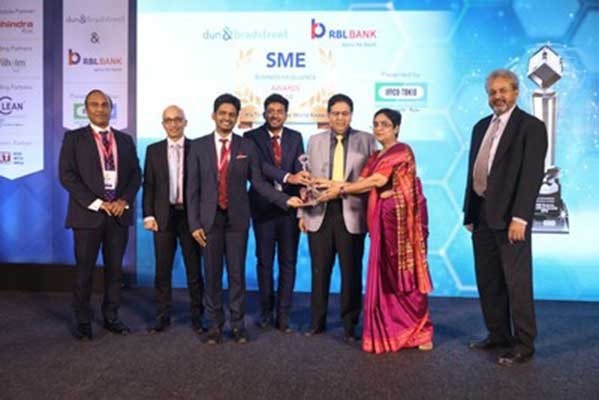 MUMBAI, February 1, 2019 : Dun & bradstreet in association with RBL Bank hosted an awards ceremony- ‘SME Business Excellence Awards 2018’ in Mumbai. The ceremony was aimed to recognise the achievements of India’s SMEs and Mid-corporates in manufacturing and services sectors pushing the growth of India. Navitas Solar was awarded for ‘Excellence in Renewable Energy Sector’ among other sectors such as Chemicals, Pharmaceuticals, Engineering & Machinery, and Auto Components etc. With the clean room manufacturing facility along with the state-of-the art production equipment supplied from world-renowned manufacturers, Navitas Solar owns one of the most technologically advanced solar PV module manufacturing facilities in India. Navitas offers PV modules ranging from 3watt to 375watt per panel, mono and multi crystalline modules. The modules are passed through 100% Electroluminescence test and are certified.